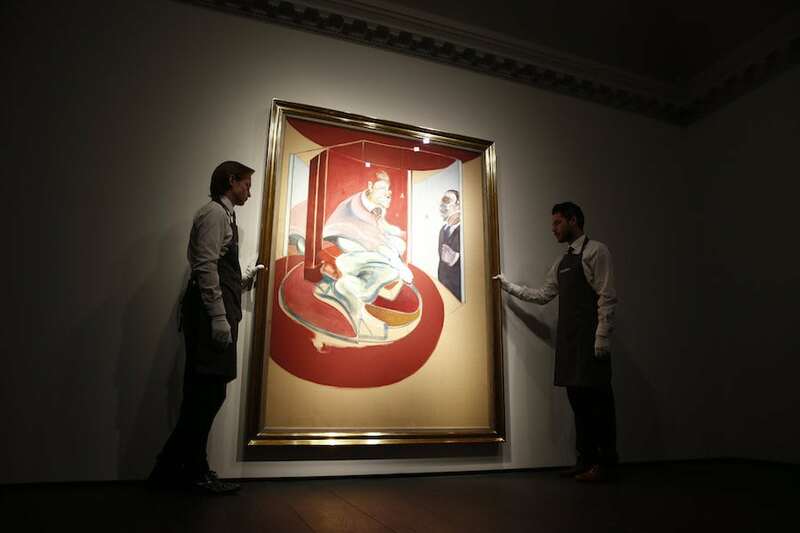 Francis Bacon painting to sell for record…£60 million! 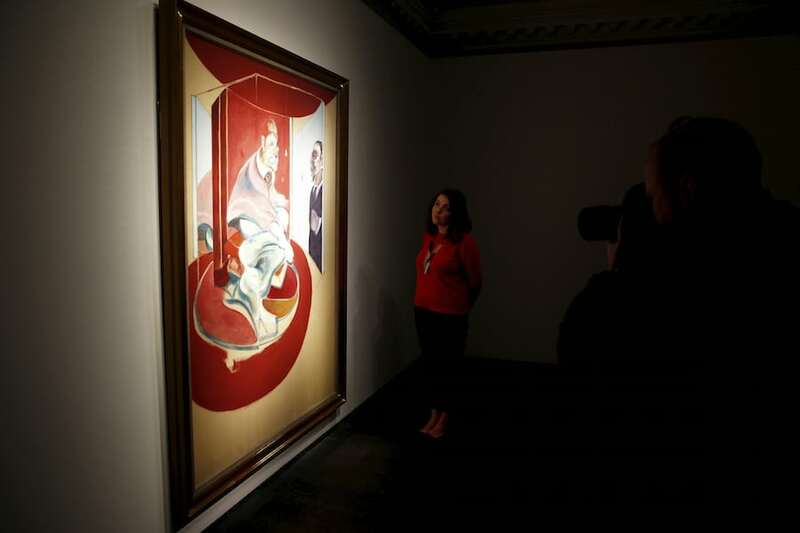 A landmark painting by Francis Bacon which has been hidden from the public for almost half-a-century is set to sell a record-breaking £60 MILLION. Study of Red Pope, from 1971 is the grand finale to Bacon’s celebrated body of Papal portraits. It is also the only painting which unites the Pope with the artist’s great love, George Dyer, who is depicted in the shadow. Dyer and the Pope were the British artist’s two biggest obsessions and it the painting became a tragic premonition of Dyer’s fateful end when, less than 36 hours before the opening of the career-defining Paris exhibition in 1971, he was found dead. 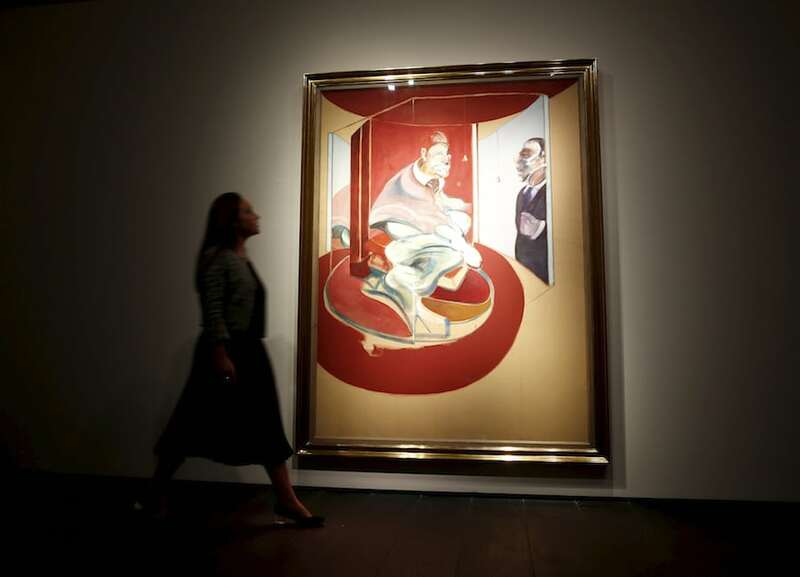 The painting by Francis Bacon which has been unveiled by Christie’s in London as they prepare to sell the piece – which has a guide price of £60million, September 15 2017. The painting was acquired by the family of the present owner in 1973 and has appeared in all the major publications dedicated to Bacon’s work – but it has never been shown publicly. 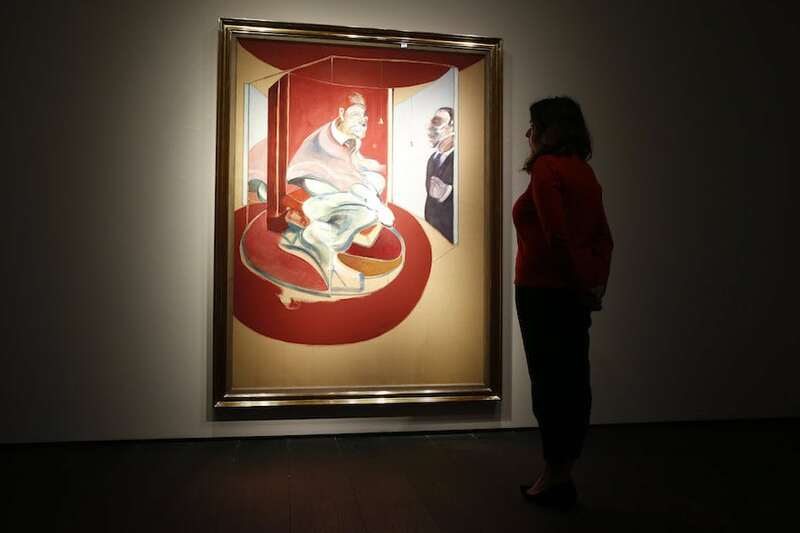 Christie’s today announced it will be selling ‘Study of Red Pope 1962. 2nd version 1971’ on October 6 during London’s Frieze Week. They have given it a guide price of £60 million – which will set a record for any artwork sold at auction in Europe. Francis Outred, chairman and head of post-war and contemporary art, Christie’s EMERI described the painting as “quite simply art history”. He said: “If Bacon’s oeuvre was shaped by his devotion to George Dyer and the aftermath of his death provided his darkest and most celebrated triptychs, then this painting represents the ultimate landmark. “Painted six months before George Dyer would commit suicide on the eve of Bacon’s major retrospective at the Grand Palais, it is a tragic premonition which unites Bacon’s two greatest muses, the Pope and George Dyer for the first and only time. “Against a background of naked canvas, an extraordinary outburst of controlled expression produces a maelstrom of activity, drawing the eye first to the sumptuous symphony of rounded red forms and then to the Pope at the centre of the composition whose own reflection appears in the back of the mirror and George Dyer’s in the front. Dyer’s hand is poised ready to turn off the light. “Rarely have I seen a single panel carry so much power and profundity, the swipes of colour and scumbling which realise the heads are a sight to behold. If the painting sells for a £60 million ‘hammer price’, the final cost including premiums will exceed the £65 million paid for Giacometti’s life-sized sculpture L’homme qui marche I in 2010. Legend has it that Bacon and petty thief Dyer first met when the former caught the latter breaking his mews home in Kensington in 1963 – but the reality was they met in a pub. Over the next eight years, Bacon created at least 40 paintings of Dyer only for his lover to die from a drink and drugs overdose in 1971 – just 36 hours before a major exhibition at the Grand Palais in Paris. In March, a painting of George Dyer by Francis Bacon was sold by Christie’s in New York for £40 million. The record for a work by Bacon is currently £89 million, set in New York in 2013 for a painting of his friend, Lucian Freud. Is Art Our Last Hope For A Liberal Future?